Sweet Daddy Siki was a well known pro rassler who put out 3 LPs worth of C&W music back in the '70s. 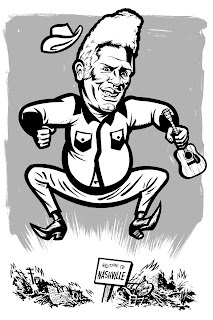 I did this caricature of him for a forthcoming zine that is gonna cover the crossover between rassling and other parts of pop culture (rasslers who sing and act, bands and movies influenced by rassling, that kinda thing). That's a brilliant idea for a zine and I can't wait to see it. Stay tuned for MORE DO THE HAMMERLOCK YOU TURKEYNECK ACTION! New logo design for Winnipeg's maverick documentary filmmaker Steve Ward. 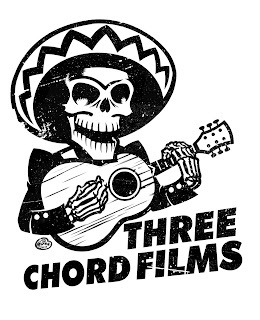 Steve directed the cool Transistor 66 Records doc a couple of years back (featuring an exclusive on-camera interview with yers truly) and is currently working on a new film about the past and present Tiki culture scene in Winnipeg. Stay tuned for MORE ACTION! I was stoked to be interviewed by PORK magazine a few months back and the results have just been published online and in old school printed form today. Here's a link to read the digital version of the issue. 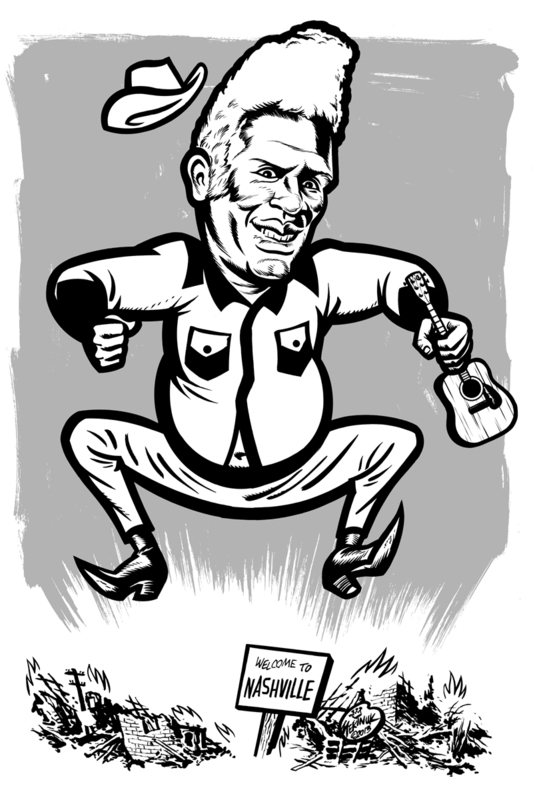 I submitted the illustration above along with the interview but it didn't appear in the published article. 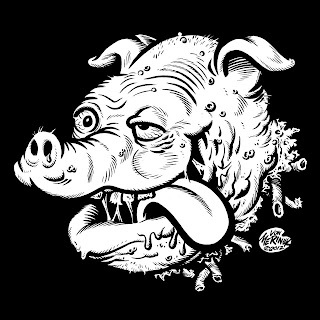 This drawing was originally penciled back in 1997 as an idea for a Von Zippers T-shirt design. For whatever reason that project never came to fruition and the pencil drawing languished in my towering "Finish 'Em One Of These Days" stash until I decided it would be a cool little bonus item to include when being interviewed by a magazine called PORK. Never fear, I'll find a use for it someday. Maybe I should have it carved on my tombstone? Anyway... Stay tuned for MORE PORCINE ACTION!